The U.S. 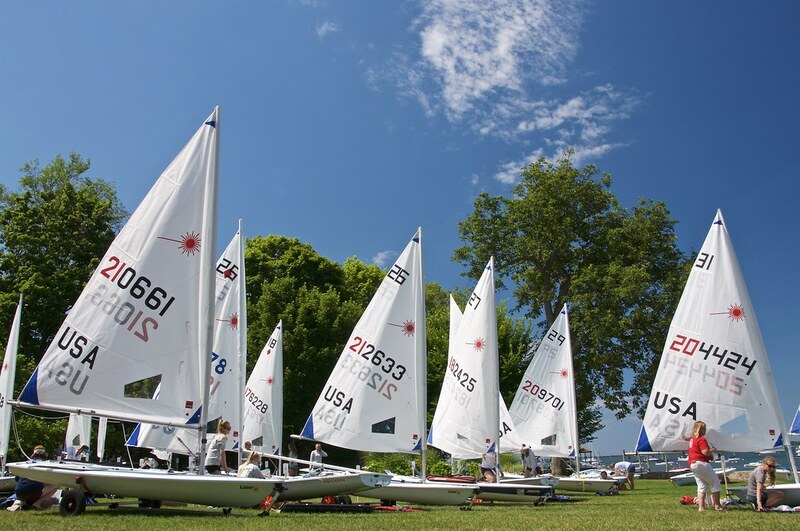 Junior Women’s Singlehanded Championship is an open event open that includes two days of clinic and three days of championship racing in two fleets: the Laser 4.7 and the Laser Radial. No private coaching is allowed, instead US Sailing Level 3 Certified coaches are provided to lead world-class training and coach all competitors to enhance the experience, sailing skills, and competitive sportsmanship of the group. This unique, all girls event provides junior sailors with a chance to build their skills in an all female environment and foster friendships for a lifetime! For competitors flying into the 2019 event: the designated airport will be Oakland Airport (OAK). Competitors should plan to arrive at OAK on 7/8 between 12pm and 3pm and depart 7/14 between 7am and 12pm. Why do ladies love the Leiter so much? We spoke with past participants to find out! Read on. New for 2019: a Laser 4.7 fleet has been added to the event!